Compete against the most fearless street pilots in the world and become Asphalt's next legend - by the creators of Asphalt 8: Airborne. 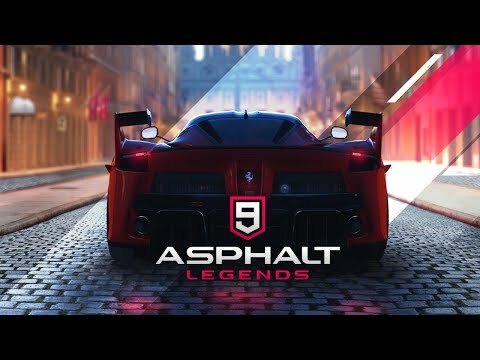 Asphalt 9: Legends offers a wide selection of hypercars from renowned manufacturers such as Ferrari, Porsche, Lamborghini and W Motors, not found in other games. Choose your dream car and race in many cool and spectacular places around the world. Push your limits and become the best legend of the circuit! Immerse yourself in one of the most hyper-realistic arcade racing games with real meticulously detailed cars, HDR techniques, stunning graphics, and particle effects that turn every race into a true Hollywood blockbuster. Charge your nitro to activate the Nitro Pulse, a speed boost that will allow you to break the wall of sound. Double tap the brake to 360 ° at any time and eliminate rival pilots.